For most working women who want children, the ‘What’s the maternity leave like?’ conversation pops up often. 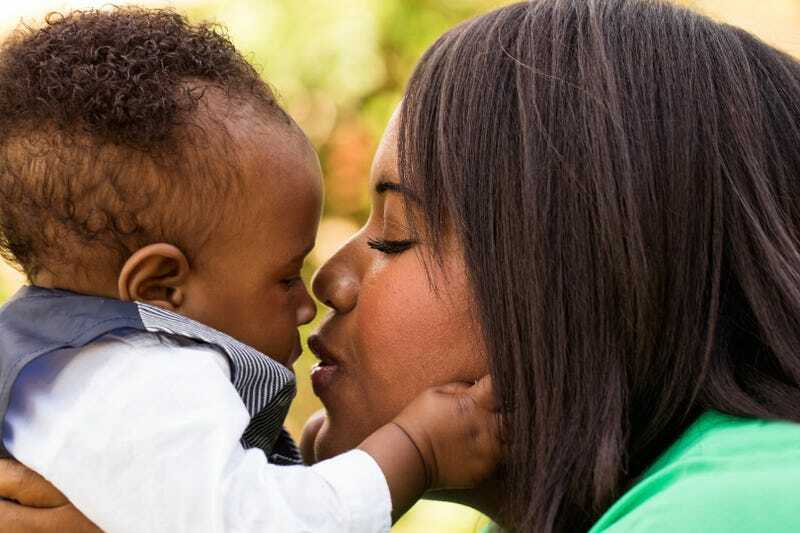 Even with the Family and Maternity Leave Act in place, there’s still a short window for those without cushy jobs to bond with their babies after they’re a few weeks old. This. Is. Terrible. Nordic countries like Finland and Sweden are beating the U.S. in maternity leave by leaps and bounds by giving their workers nine to 16 months parental leave, respectively, according to an investigative piece by In These Times. But in America? Many women are lucky to get two or three weeks off and that’s after they’ve played a numbers game tallying insurance costs, office hours and paid leave days to collect enough days to spend with their new human being. According to the Bureau of Labor Statistics, only about 13 percent of U.S. workers have access to any form of paid family leave, which includes parental leave and other time off to care for a family member. The highest-paid workers are most likely to have it, according to BLS numbers, with more than 1 in 5 of the top 10 percent of earners getting paid family leave, compared to 1 in 20 in the bottom quartile. Unionized workers are more likely to get benefits than nonunionized workers. They go on to make it clear that the numbers are even bleaker than you might imagine. Data analyzed for In These Times by Abt Associates, a research and evaluation company, provides a window into these experiences. Abt went back to a 2012 survey it conducted for the Department of Labor of 2,852 employees who had taken family or medical leave in the last year, looking specifically at the 93 women who took time off work to care for a new baby. Nearly 12 percent of those women took off only a week or less. Another 11 percent took between one and two weeks off. That means that about 23 percent—nearly 1 in 4—of the women interviewed were back at work within two weeks of having a child. Remember the wave of think pieces weighing the options of paternity leave in 2014? Well, it’s a statistically sound idea. Paid parental leave frees mothers and fathers from choosing between their careers and time with their infants. For women, still most often the primary caregivers of young children, this results in higher employment rates, which in turn translates to lower poverty rates among mothers and their children. When one woman named Leigh Benrahou wanted to have a baby, according to In These Times, she crunched the numbers and made sure she qualified for the Family and Medical Leave Act, got the insurance she needed to cover her care when her regular insurance ran out and saved her vacation days to the letter. But then, she was diagnosed with placenta previa, a condition that forced her to give birth early. She delivered her child before she qualified for the Family and Medical Leave Act and all of the other bits she’d orchestrated during her timeline. Not only that, but her baby was born prematurely at 26 weeks and just about 2 pounds, which meant the child needed extra love and medical attention just to stay alive. This is not the best time for a mother to be worrying about work stuff. We gotta do better America. And of course the idea of a mother (and father!) having the ability (and the right!) to care for their child after its born regardless of their socio-economic status has become a bipartisan flashpoint—with small amounts of hope. In 2002, California became the first state to pass a paid family leave law, which provides workers who need to care for a new baby with 55 percent of their usual weekly pay, to a limit of $1,104 for up to six weeks. New Jersey passed a similar law in 2008. And in 2013, Rhode Island granted workers up to four weeks off with pay for “family care,” including care of a new baby…. When bills have been debated in states, Republicans have been so vehement that paid leave is bad for business and a “job killer” that legislation at a federal level has been assumed to be a no-go. At least in the race for the presidency in 2016, both Bernie Sanders and Hillary Clinton have come out in support of paid leave. But in a time where common knowledge says children do better with their parents supplementing their early development with love, attention and care how is the option for more than three weeks of maternity leave even up for debate? We’re not animale.